High Rise Panels called BrickPlus Pro from Monolith are a first in the construction industry. Instead of fitting individual brick slips one-by-one, we’ve created a way of producing a pre-populated carrier. Integrating strong mesh within twelve bricks, application is now twelve times faster! Mesh webbing is fused into the composite brick slip and can be used for application internally or externally. Following extensive testing by Exova Warrington Fire, Monolith has been awarded an A1 Fire rating for our revolutionary BrickPlus Pro brick slip product. This means that it is classified as 100% non-combustible, putting your mind at rest that the exterior of your building is as safe as it can be. Our products are made in-house using a hard-wearing, advanced composite material that gives more than the usual benefits of traditional alternatives. The integrated mesh within the bricks creates a panel that increases application quantity whilst decreasing application time. Easier to work with, handle and apply, with higher strength per gram than traditional clay brick. Better value when shipped – not as heavy, thinner, more per pallet means more are delivered to site in less packaging – 40m² per pallet! 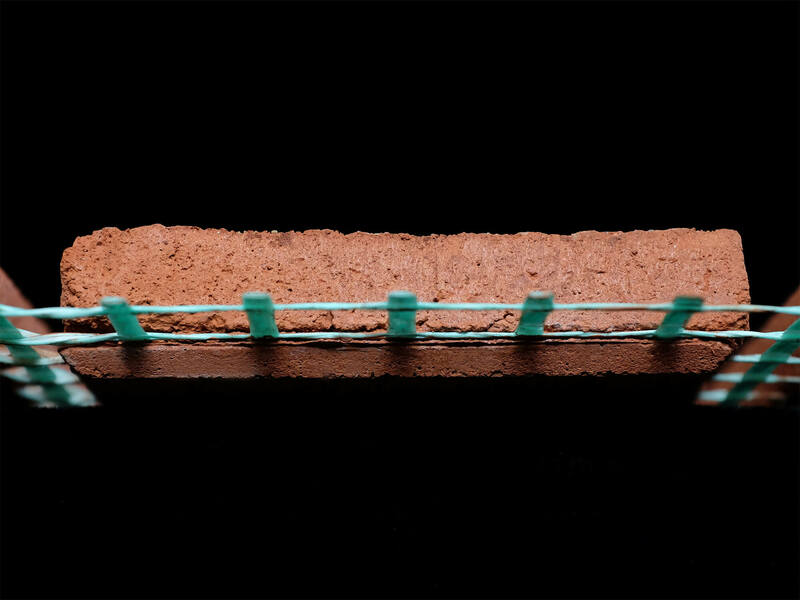 Very low porosity – 90% less absorption than clay brick. Multiple colours, textures and finishes available. Can be matched to existing brickwork using our bespoke design service. Bricks that don’t exist anymore, or are not manufactured anymore, can be matched – extending the life of your project. 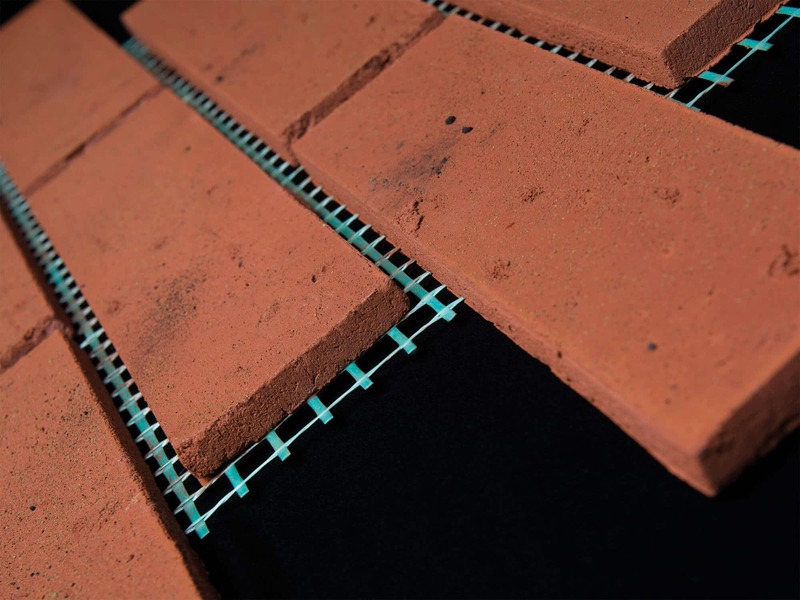 BrickPlus Pro takes the principle of an individual brick slip and integrates a strong mesh webbing inside it. By integrating the mesh, we are able to create a panel of twelve brick slips, all held together, ready for easy installation. If you’ve ever seen bathroom tiles on a sheet of mesh, then you are familiar with the concept. Scaling that principle up to an exterior cladding product has been a challenge, but one that we have completed. 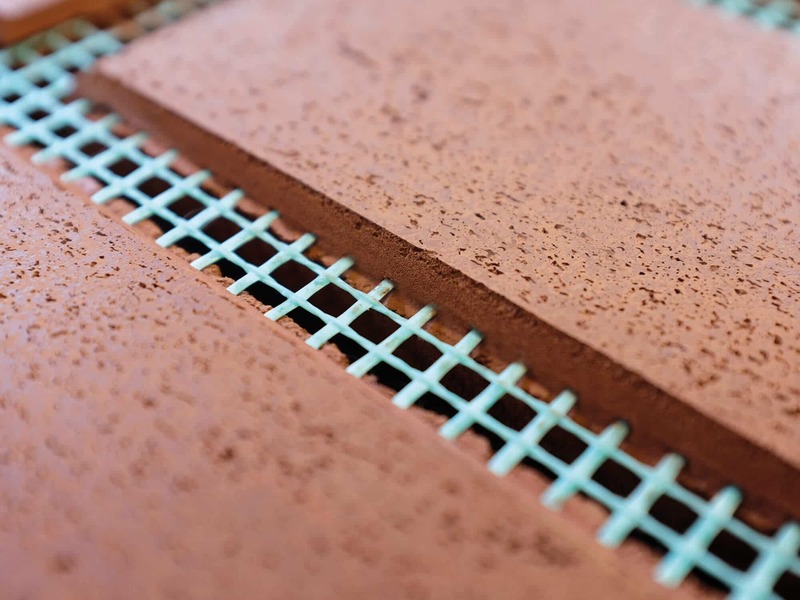 BrickPlus Pro is a brick slip system based on a composite GRC. When installed in conjunction with our approved products and in accordance with our recommendations the system achieves excellent waterproofing, fire resistance, low capillarity, high breathability, elasticity and is also available in a range of vibrant coloured finishes. The system is designed for a stretcher bond, however other bonds are available on request. Following the installation of the BrickPlus panels, pointing mortar is used to fill the external mortar joints visible between the brick slips. High quality, composite mortar brick slips. A1 non-combustible fire rating from Exova Warrington Fire. Each panel: Height: 440mm, Width: 553mm, Depth: 13mm. We also supply pistol corners, headers, reveals and individual brick slips to finish off your project. Please feel free to call us on 01206 638885 or use our ‘Contact Us’ page if you need further information or need to send us your specifications.